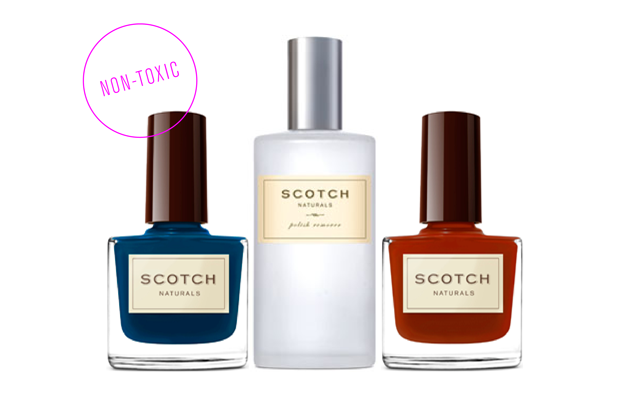 One of my birthday gifts last week was nail polish, polish remover and the "On the Rocks" top coat from Scotch Naturals. I'm already in love, especially with the Seaboard color I just tried out. All their polishes are water-based, non-toxic and eco-friendly. And the remover is soy-based, so it takes off polish without the noxious scent of a traditional acetone remover. Visit their website to shop and learn more. Take note of the "cocktail trio" deal. It's a great way to get started on an all-natural nail polish regimine.